Atlanta is an up-and-coming city of luxury. New York, Miami, Los Angeles lack something, an essence only a Southern urban landscape can capture: that’s politeness. And the St. Regis in Buckhead represents the ultimate refinement this holiday season. Georgia’s only ice skating rink in a hotel is located in one of the most affluent zip code south of the Mason Dixon line (that’s 30305 y’all) and it’s a Winter Wonderland experience for families and party-goers alike. There’s even a life-size gingerbread house! Is it edible? We certainly hope so! The Astor Holiday Ice Rink (presented by Coca Cola) lives in a magical outdoor setting of the 40,000-square-foot Pool Piazza on the sixth floor. As Georgia’s first and only hotel ice skating destination—attracting more than 10,000 skaters in its first two years—the Astor Holiday Rink will remain open through January 3, 2012. After skating, help yourself to a holiday tea. 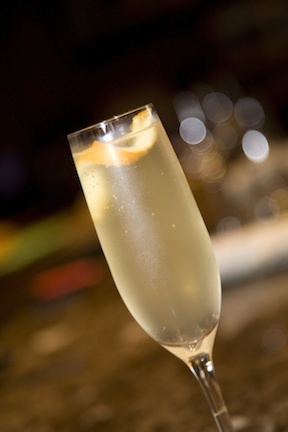 Or hop over to the elegant St. Regis bar for the 12 Days of Christmas cocktail menu. Looking for a great gift to give this holiday season? How about a night in one of their excellent accommodations. More than a century ago at the flagship St. Regis New York, the Astor family hosted magical evenings for their illustrious friends, known as the “Astor 400,” and would often feature spectacular installations such as a ballroom ice skating rink complete with elegant performers—the inspiration behind The St. Regis Atlanta’s unparalleled winter experience. During visits, guests and locals are encouraged to indulge in the timeless tradition of Afternoon Tea Rituals in The Long Gallery where crackling fireplaces create a cozy festive atmosphere and St. Regis Butlers provide impeccable service. Black Friday Tea (November 25; $88) is a shopping-themed tea with sparkling wine, fashion styled sweets, and a $50 Saks Fifth Avenue gift card; Holiday Tea (November 26 – December 31; daily; $40) includes 10 varieties of hand-selected teas served with an assortment of handcrafted petite sandwiches and freshly baked pastries; and Tea with Santa (December 2 to 4, December 8-11, and December 15-24; $24 for children 12 and under), during which Santa visits with each child and gives a special gift of gummy penguins and fish from the North Pole. Holiday Afternoon Teas are served from 2 – 5 p.m. Private Teas are also available in the Wine Room that features a captivating orangery and sophisticated atmosphere. Reservations are recommended. 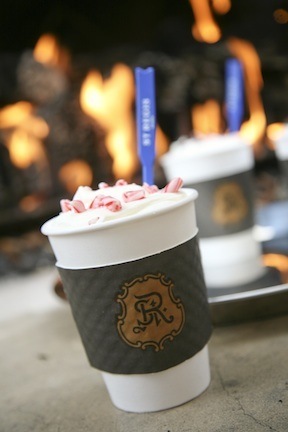 The St. Regis Atlanta will spice up the holidays with festive libations for the social set, continuing the tradition of Twelve Days of Christmas Cocktails. The Twelve Days of Christmas Cocktails will be served at The St. Regis Bar, The Wine Room and Paces 88 throughout the month of December ($12). Plus there’s The St. Regis Atlanta’s Fire & Ice Dinners—a private dining experience that takes place on ice within the Astor Holiday Rink; couples or intimate groups will dine by candlelight and as ice skating waiters serve the meal. Following the six-course, prix-fixe meal, a St. Regis Butler on ice will perform the signature champagne saboring ritual and present a Champagne toast. Guests will then have the opportunity to enjoy a private skating session, set against the warm glow of candlelight and exquisite light fixtures, creating cherished moments between loved ones. Fire & Ice Dinners are available from $1,500 for two.